Location, easy access, big apartment. We all enjoyed our stay. When I had question they answered fast and fixed it. So I would like to come back once. Good sized rooms. 5 min walk from Exeter town centre. Very spacious and clean flat. Easy access with keycode, and located right in the centre. Large kitchen with free milk provided. This was ideal for me as I’m not a fan of hotels. Easy to get to from the train station and easy for city center and the university. I did not need a taxi or a bus. Clean, Tidy and easy to check in I would book again. Perfect for weekend shopping trip. Apartment was spotless, warm, good WiFi, and lovely comfortable beds. Agents were excellent. The flat is a good size, well equipped and in a great location. Receptive booking team and friendly cleaning team. 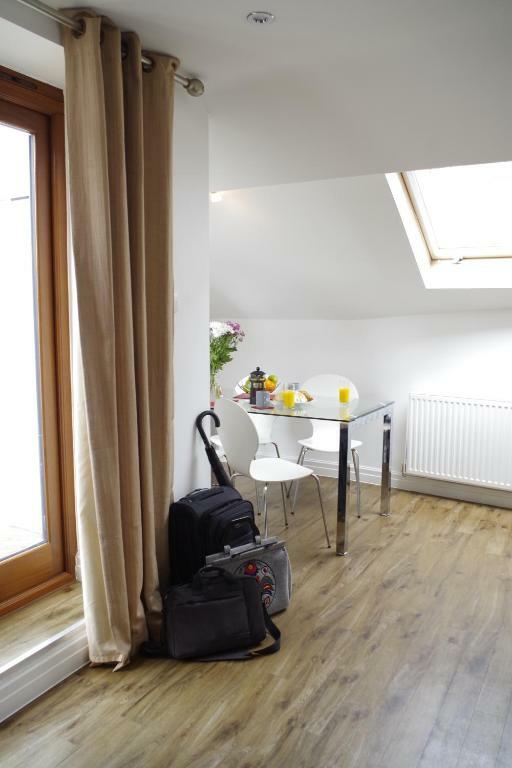 Lock in a great price for West Street Mews - rated 9 by recent guests. 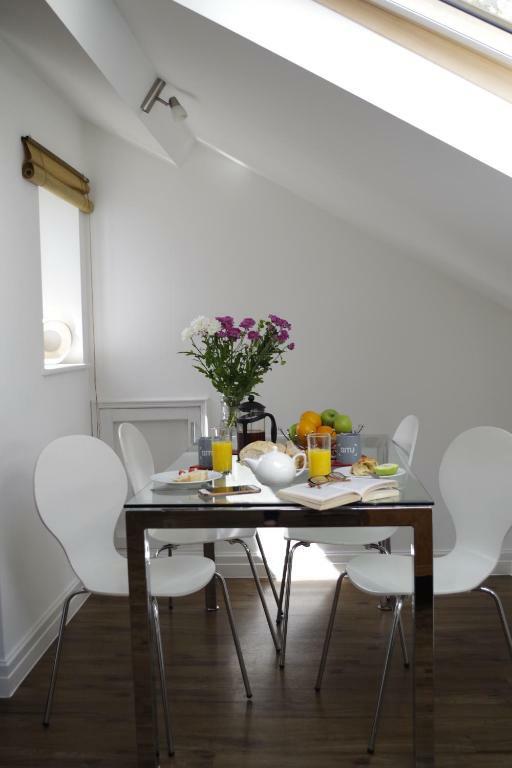 One of our top picks in Exeter.Located in the heart of historic city of Exeter, in Devon, West Street Mews offers modern self-catered accommodation with free Wi-Fi. The property is just 6 minutes’ walk from Exeter St Thomas Rail Station. 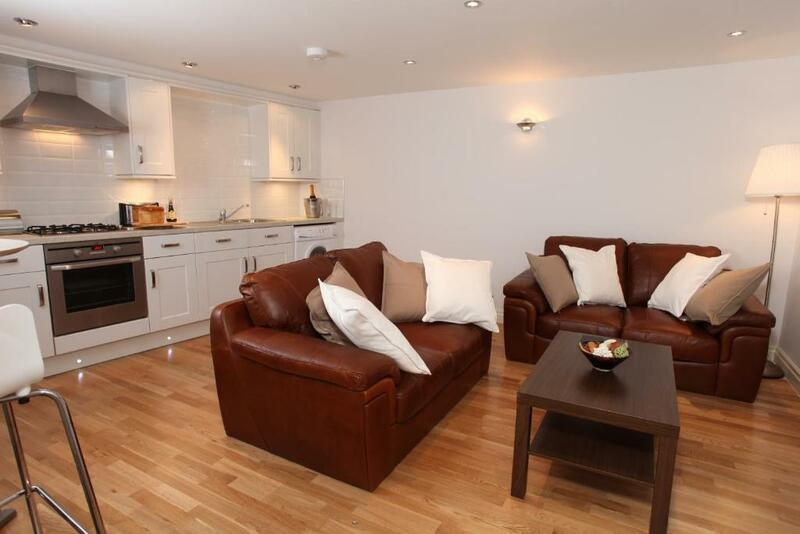 These apartments at West Street Mews feature a living area, a wall-mounted flat-screen TV, a DVD player and an iPod docking station. The well equipped kitchen includes laundry facilities. Weekly cleaning service is available for stays over 7 nights. The beautiful Exeter Quay, with boutique shops, restaurants and local pubs is just 3 minutes’ walk from the apartments. Exeter Cathedral is less than half mile from the property. Exeter International Airport is only a 15-minute drive away. This property is also rated for the best value in Exeter! Guests are getting more for their money when compared to other properties in this city. 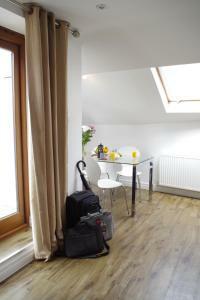 West Street Mews has been welcoming Booking.com guests since 17 Mar 2014. When would you like to stay at West Street Mews? This apartment has an open plan lounge with 2 sofas, a flat-screen TV with cable and satellite channels and an iPod docking station. 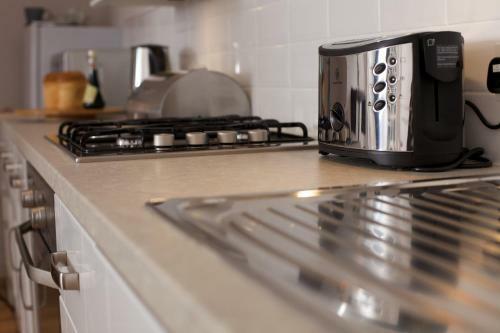 There is a well equipped kitchen with a microwave, an oven, a refrigerator and a dining area. A washing machine/dryer is also included. Public parking is possible at a location nearby (reservation is not possible) and costs GBP 6.80 per day. This apartment has a flat-screen TV with cable and satellite channels, a DVD player and an iPod docking station. 11 self-contained apartments with a secure private access. Spacious and modern. 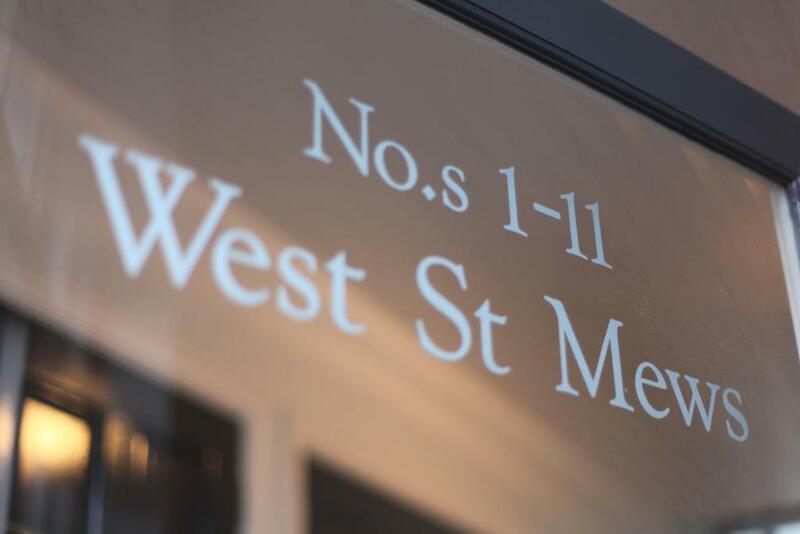 West Street Mews offer business and leisure travellers alike a place to call home whilst exploring the South West. 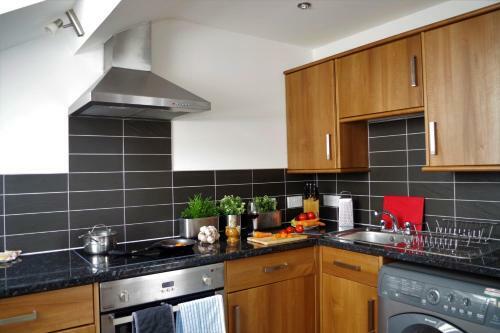 Each apartment has a comfortable living area and a fully equipped kitchen, whilst the bedrooms create a calming atmosphere for the perfect nights sleep. A Welcome pack is provided to help guests settle in and a weekly housekeeping service is included for stays longer than 7 days. House rules West Street Mews takes special requests - add in the next step! West Street Mews accepts these cards and reserves the right to temporarily hold an amount prior to arrival. Please inform West Street Mews in advance of your expected arrival time. You can use the Special Requests box when booking, or contact the property directly with the contact details provided in your confirmation. Maybe a little noice from the traffic. Was on main road so very noisy 24 hours. Another road flush with the downstairs windows so had to keep blinds closed at all time for privacy. Parking misleading. All parking you have to get up before 8am to pay. Washing machine broke down twice. Parking information was misleading. There is minimal on street parking during the day (very difficult to find a space), otherwise you have to go to a paid car park. This is £10 per day (not £6.80 as we were told on enquiry). Also, the corridor leading to the apartment is very dark and the light switches are not illuminated and therefore difficult to find. Parking was advertised as if it were a proper parking whereas it’s just on-street parking where you need to pay by the hour and you need to get lucky to find a place. The oven was stinking dirty with with large bits of food stuck on and therefore unusable. The heating and hot water wasn’t working properly even after some admin personnel did kindly come in to check the hot water was still irritatingly intermittent and it was impossible to take a decent shower without freezing. We didn’t even get an apology for the dirty state of the oven. (Not that it would have made a difference) The shower wasn’t optimally cleaned either and although a washer/dryer was available there was no laundry basket and no clothes horse for clothes you cannot tumble dry. The duvets weren’t warm enough for this time of year. I could go on but suffice it to say it wasn’t a pleasant stay. It’s definitely not worth what we paid for it. Parking hard during the day , but there is a car park for £3 all day that you can come and go , next door to the Royal Oak pub. 7 mins walk. The amazing value for money. Lovely property. The appt was well maintained. If you are a light sleeper be aware this is on the main drag so very noisy with traffic at all hours. It really needs another sofa or comfortable chair...one sofa for two people isn’t enough. It is quite noisy - traffic is constant - it’s on the city’s main ring road and so not unexpected -but some will find it offputting.